Bringing your dog on a trip with you can really add lots of fun to your trip. However you need to do your homework when it comes to dog travel. 1. PLAN. Some places may require special tests to be done before you travel into their country. Make sure you take the necessary steps before you take your trip. 2. BREED. If you have a short-nosed pooch some airlines will not allow them to travel due to their potential breathing difficulties. It’s best to check with the carrier beforehand. 3. CHECK & CARRY. Will you be checking your pet as cargo or bringing them on the flight with you. If you have a small dog it is up to you what you do, however larger dogs need to be checked. 4. CALL. Some airlines prefer it if you call them ahead of time and make plans for your dog. 5. SHOTS. In some countries you will need to present a certificate showing that your dog has the right rabies shots. 6. SLEEPING PILLS. Yes, its okay for you to pass out on the plan after taking some sleeping pills, but giving your pet a tranquillizer could make it difficult for them to breathe! Instead check first with your vet to see what pills you can give your dog. 7. FOOD & DRINK. Always keep food and water attached to your carrier in case your pet needs feeding if there is ever an emergency situation. 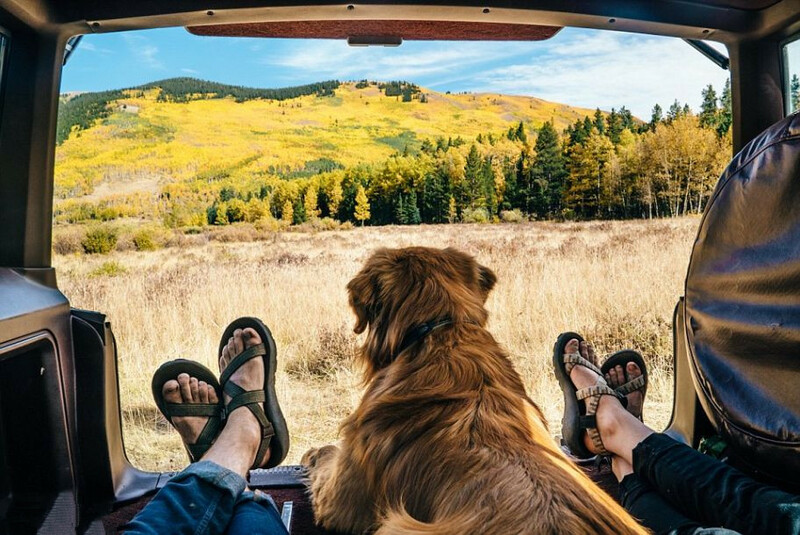 Make your trip fun for you and your dog! Many people say travelling alone is the best experience they’ve ever had. No one rushing you somewhere you don’t want to go, you can just do whatever you want to do! 1. Check your luggage. You’re alone, so no one is waiting for you because everyone managed to only bring a carry-on. 2. Sleep late. One day don’t set an alarm and sleep it, after all you don’t have anyone rushing you around! 3. Wake up early. Go to sleep early and wake up early. When you’re alone you won’t have anyone pressuring you into going out on the town. 4. Cook. Go to the market and make something you love with the authentic local ingredients. 5. Try a workout class. Whether it is Tai Chi in China or yoga in India, try something new that isn’t offered at home. 6. Visit a popular restaurant without a reservation. This is brave, but often when you’re alone you’ll be seated at the bar without having to wait. 7. Stop at a local pub. Find out what everyone loves so much about it! 8. Take your time wherever you go. Slowly stroll through museums and markets as you please – no one is there to hurry you up. 9. Pretend you are a local. Wander into a local cafe or coffee shop, snack on a bagel and do some serious people-watching. 10. Do full-on tourist. Yes, the fanny pack, camera and tour guide – do it all! 11. Eat EVERYTHING. Have an open mind and try something new, even if it is tuna eyeballs in Japan. 12. Do nothing. You’re on holiday so relax and know that you’re alone so you don’t have to be anywhere. Travelling alone is a wonderful experience – make the most of it and try out these things! Looking for a reliable shuttle service that can get you to and from the Airport on time? Book your shuttle service in Cape Town or Durban on Airport Shuttle today - it's easy and affordable!